Enlarge / EnChroma glasses have always had both skeptics and true believers. Who’s right? It’s complicated. The much-touted EnChroma glasses don’t help colorblind users see new colors; they merely let the colorblind see the same colors in a different way, according to a new study published in Optics Express by scientists at Spain’s University of Granada. The scientists liken the effect to the colored glasses often used by hunters to increase the contrast in their surroundings so they can better pick up on certain visual stimuli. EnChroma makes glasses that are designed to help with a specific form of color blindness, one in which a hybrid of red- and green-detecting receptors confuse the differences between colors. The receptors act by blocking out the wavelengths that the hybrids are most sensitive to, but they don’t do anything for other forms of color blindness. So the new results don’t come as a surprise to University of Washington color-vision expert Jay Neitz, who has long been skeptical about what the glasses actually accomplish. “You can’t add colors by taking away some wavelengths [of light], which is all the glasses do,” he says. 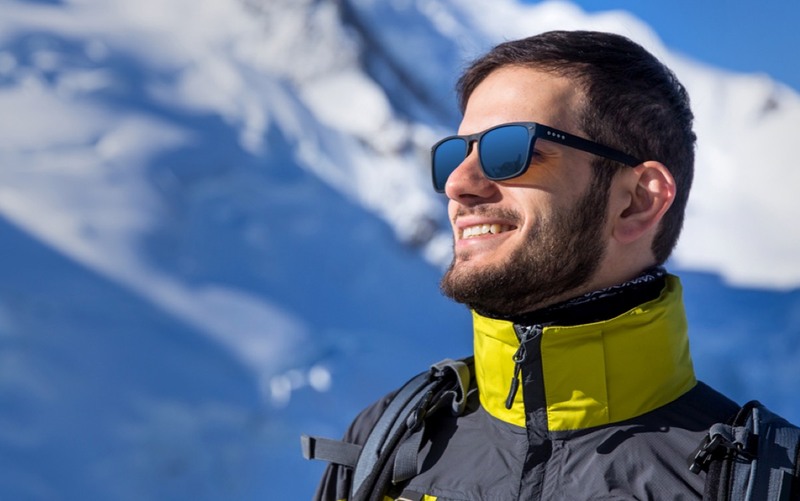 There have always been roughly equal measures of enthusiasm and skepticism about the effectiveness of EnChroma glasses, and firsthand accounts vary from “meh” to life-changing revelations. That may be because color perception is (a) inherently subjective, and (b) there are many different types of color blindness, and EnChroma’s product will interact with them in complicated ways. Meanwhile, former Ars reporter Nick Veronin, who is moderately color blind, wrote about his experience with the glasses in 2016. He was not blown away when he donned them, unlike many of the people in the company’s testimonial videos. But then he noticed pops of brilliant greens and purples as he drove around, and he decided the glasses did help enhance his color perception a little. However, certain genetic mutations can mess up this tidy arrangement in a number of different ways. Roughly eight percent of men in the US (one out of every 12) have some form of red/green colorblindness, according to Neitz. This is by far the most common form. For instance, “anomalous trichromatics” are those people whose brain still gets information from all three photoreceptors, but either the M or L cones have shifted their wavelength sensitivities just enough to make it harder to discriminate colors in the red-green dimension. How severe the condition is depends on how much the wavelength sensitivity has shifted. But his condition isn’t so severe as to be debilitating. First diagnosed at age six, Veronin developed coping tricks over the ensuing decades, such as double-checking the color of a particular garment with the store clerk before purchasing. 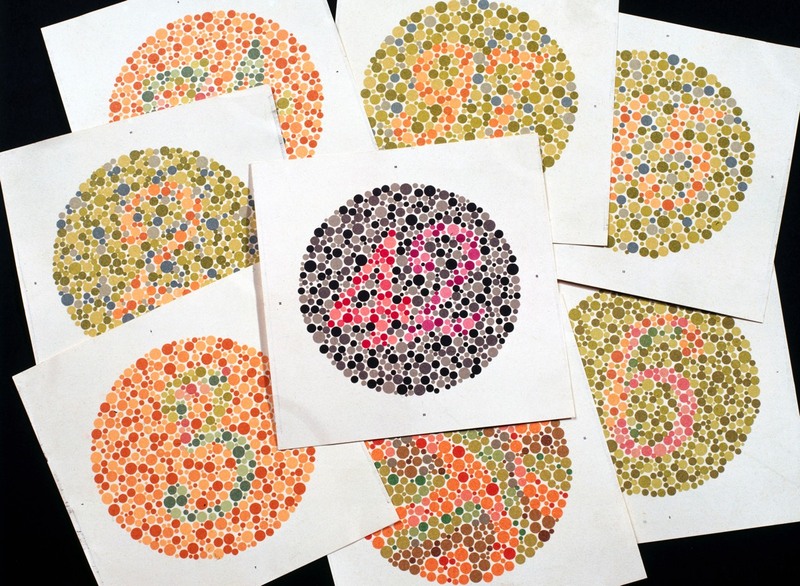 Enlarge / Eight classic Ishihara charts for testing colorblindness, circa 1959. That’s why EnChroma doesn’t claim its glasses will help all forms of color blindness or that the glasses constitute any kind of a “cure.” The company prefers to describe its glasses as more of an assistive device for those, like Veronin, who are mild-to-moderate anomalous trichromats: the glasses should help them better discriminate colors in the red/green dimension. The results were mixed: some of EnChroma’s subjects showed more improvement than others, and the improvement did not seem to correlate with the degree of color-blindness severity. According to Neitz, colored filters (like the EnChroma glasses) can enhance relative brightness of the chips, providing a helpful contextual clue. So the D15 is not the best objective measure. So what did they find? Wearing the glasses didn’t help any of the participants perform better on the two types of color blindness tests used in the study. That’s in keeping with EnChroma’s claims on its website (and Schmeder’s statement to Ars Technica), as well as Veronin’s first-hand experience. So if you’re hoping to use the glasses as a cheat to pass a screening test to become a TSA agent or police officer, forget about it. 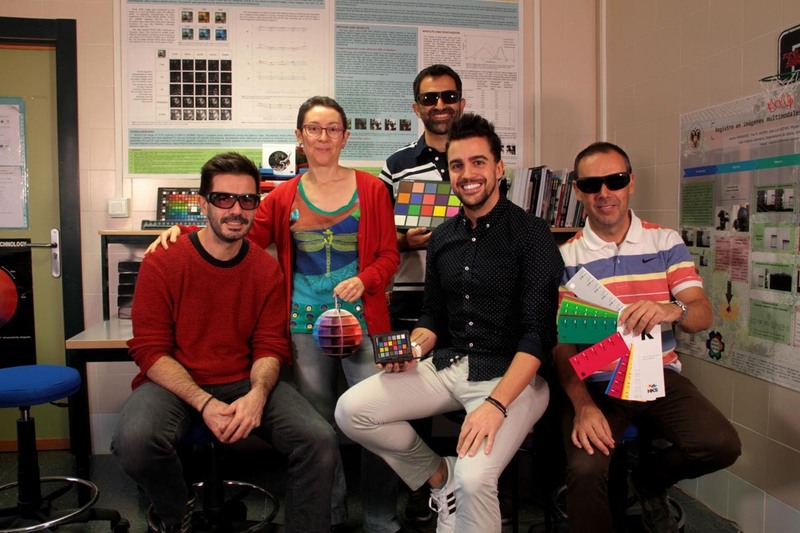 Enlarge / The University of Granada research team posing with EnChroma glasses. Did a leaked image reveal Apple’s upcoming desktop monitor?